A big experience in a small package. The 2019 Mazda MX-5 Miata provides an exciting driving experience in a small package. Sporty two-seaters, despite the glamour and romance that has trailed behind them over the years, have sort of been left behind as car buyers rush into trucks and sport-utility vehicles. 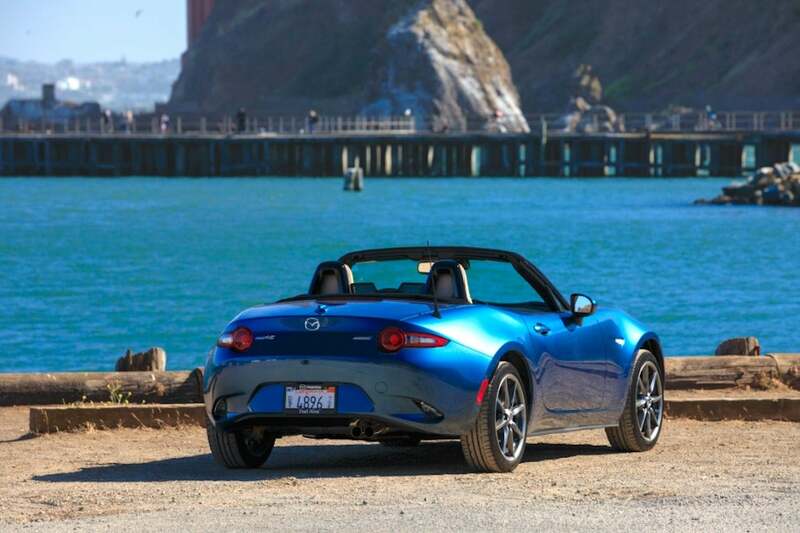 But some two-seaters, such as the Mazda MX-5 Miata, are still out on the road, still fun to drive and continuing to evolve with the addition of new technology. Even in a blustery Michigan December, the MX-5 reveals its power, spirit and great driving dynamics that effortlessly handle everything from crosswinds to lumpy pavement and tightly curving freeway ramps. 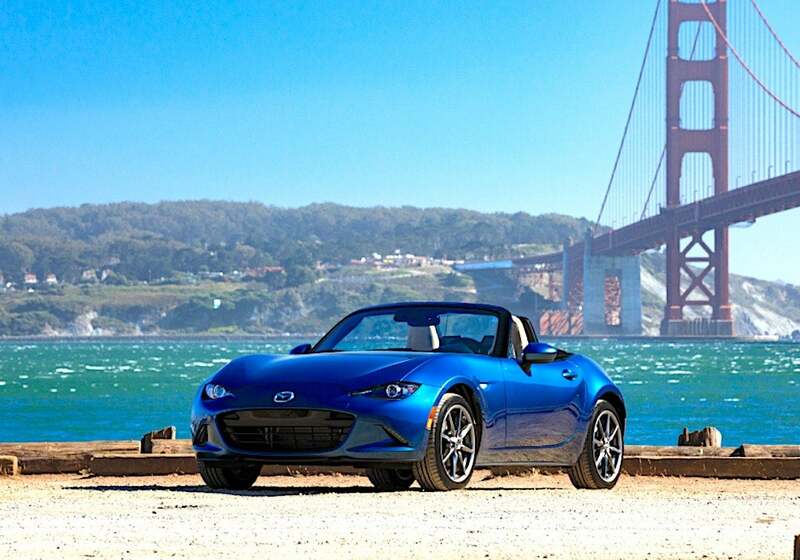 The MX-5 is quite nimble – it weighs only 2,339 when equipped with a six-speed manual transmission – but the lightweight chassis of which Mazda is justly very proud felt very stable feel while maneuvering in and out of traffic. At the same time, the steering and brakes on the MX-5 are first rate, which only serve to add to the fun of driving the sporty little car. The MX-5′s very capable steering and braking are impressive vital when you are driving a small car in traffic where every other vehicle is far larger and other drivers aren’t always attentive or maneuver carelessly. 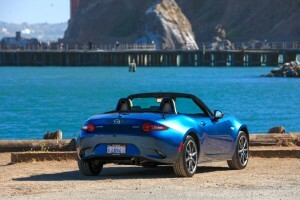 The new Miata is loaded with the latest driver assistance technology. But, of course, the MX-5′s ride and handling was very impressive when I got to take it out for drive on stretches of more open road and the sport-tuned suspension is very capable, adding to the pleasure of driving the car. One of the most impressive aspects the 2019 MX-5 was the cockpit. Unlike some earlier versions of the Mazda two-seat roadster, the 2019 MX-5 didn’t seem cramped. Instead it was comfortable even with the soft-top roof in place because of the frigid weather the driver still had excellent visibility, which is quite important when sharing the road with the fleets of pick-up trucks and utility vehicles that dominate the car park around Detroit these days. The materials used in furnishing the cockpit enhanced the overall feel of the cabin and there was even some storage space. The instrument cluster is equipped with an impossible-to-miss tachometer that reminds anyone behind the wheel this is a car for serious drivers. The seats in the MX-5 are comfortable even during a longer drive and the overall lighting scheme used for the interior of the vehicle was nicely designed, minimizing the glare during night driving in the cockpit’s close quarters while offering plenty of illumination, making gauges easy to read. 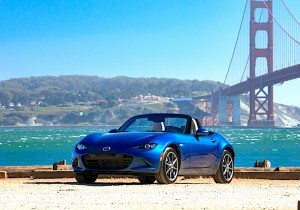 Mazda also has made the latest driver assistance technology available on the MX-5, including a back-up camera, blind-spot detection, lane-keeping assist, rear-cross traffic alert when backing out of a parking space and “Smart-City Braking” and a “Road Sign Recognition” system on the Grand Touring grade. The MX-5 also is equipped with Bluetooth and keyless entry and can be outfitted with a Bose nine-speaker audio system and adaptive lighting, a system I’ve always found quite helpful. For 2019, Mazda has equipped the MX-5 with a Sky Active 2.0-liter engine capable of producing 181 horsepower, giving the car a most impressive power to weight-ratio and good fuel economy 26 miles per gallon in the city and 34 mpg on the highway for a combined rating of 29 mpg. I drove the MX-5 equipped with a six-speed manual transmission and Mazda’s manuals never fail to impress. Smooth and forgiving – a great reminder of how much fun using a clutch and manual shifter can be when it is done properly. As noted, the tachometer was very easy to read and Mazda has built in a prompt that flashes in the instrument cluster to remind the driver it’s time to shift. Mazda has clearly mastered the art of the manual transmission. Mazda has always managed to enhance the fabled two-seat silhouette with sleek exterior styling that have made the MX-5 one of most visually appealing cars found in showrooms today even if its low-slung stature can make it awkward to get in and out of at times. The 20-degree temperatures that prevailed during the time I had the car severely limited the time I could spend with the top down. However, I never felt I was cheated because the MX-5 was such a nice blend of old-world charm and new technology even if to motorist dreaming of autonomous vehicles something of anachronism from an era that has vanished like the servants at Downton Abbey. This entry was posted on Thursday, December 20th, 2018 at and is filed under Asia Pacific, Automakers, Automobiles, China, Europe, First Drive, Markets, Mazda, NAFTA, Reviews, Sales, Sedans, South America, Sports Cars, Trends, U.S./North America. You can follow any responses to this entry through the RSS 2.0 feed. Both comments and pings are currently closed.